It’s been a long offseason and, as a die-hard Cubs fan, it’s taking longer than normal to get psyched up for this season. I was more optimistic than normal last year and vested much energy into the Cubs playoff run only to see my Cubs swept out immediately. No consolation that the Dodgers knocked them out — I like the Dodgers but that doesn’t matter when they’re playing the Cubs. Today is the first spring training game for many teams. Coincidentally the Dodgers are playing the Cubs. This year MLB is touting their new MLB network as the place to see all games — even the blacked out Saturday Fox games. BUT, the MLB Network is only available to DirecTV and Time Warner Cable subscribers, leaving Dish Network and AT&T U-Verse subscribers in the dark. Worse yet, MLB.TV — the online stream, will continue to black out these games in addition to the World Baseball Classic. What’s a fan to do? How will you follow your favorite team this year? 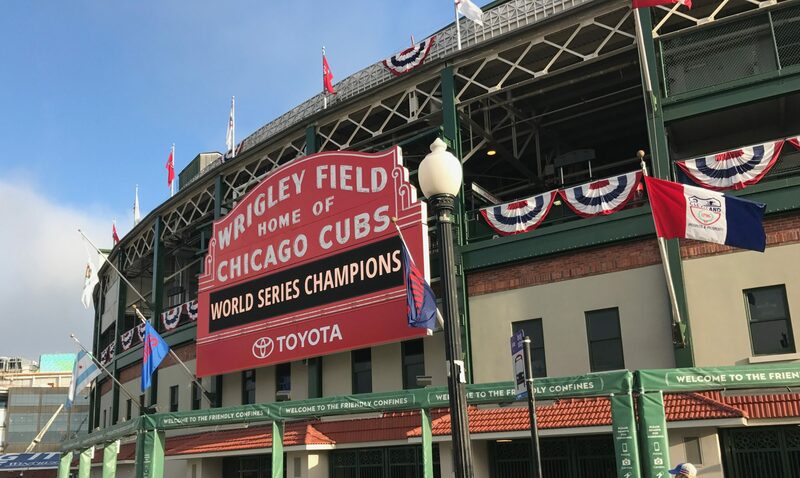 Who will the Cubs beat in the 2009 World Series? Will MLB continue their restricting online media outlets and photographers from media access and privileges? Photo by Seth William Page, 2/21/09, via CC-license.